I have to admit I’m not a coffee drinker, which is almost a crime given that I live in Melbourne. I will say though that I am an avid tea drinker and always looking to try new brews. So when I was introduced to Madame Flavour, one of Australia’s top tea brands, I was keen to try out some of the unique flavours on offer. 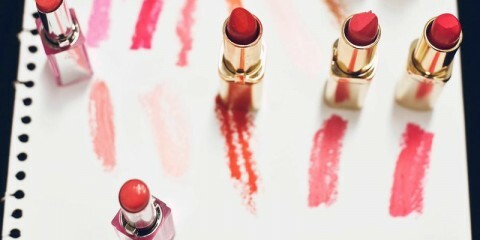 The concept behind Madame Flavour is reinventing classic blends with a modern touch. 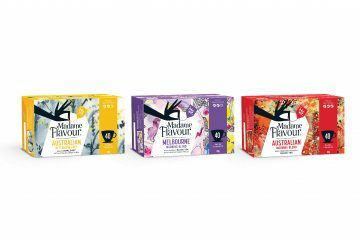 Founded by Corinne Noyes, who began the brand by inviting tea drinkers from her local shopping centre to chat about all things tea in her home, Madame Flavour has a uniquely Australian flavour. Classic teas such as peppermint and chai, are blended with native Australian herbs and spices to add a different dimension to old favourites. One of the important features that makes Madame Flavour tea so special are the uniquely shaped infused pods, designed to give the leaves and spices room to unfurl and infuse, maximising flavour. With regular shaped teabags, the leaves are squashed together, meaning it’s harder for the flavours to brew. 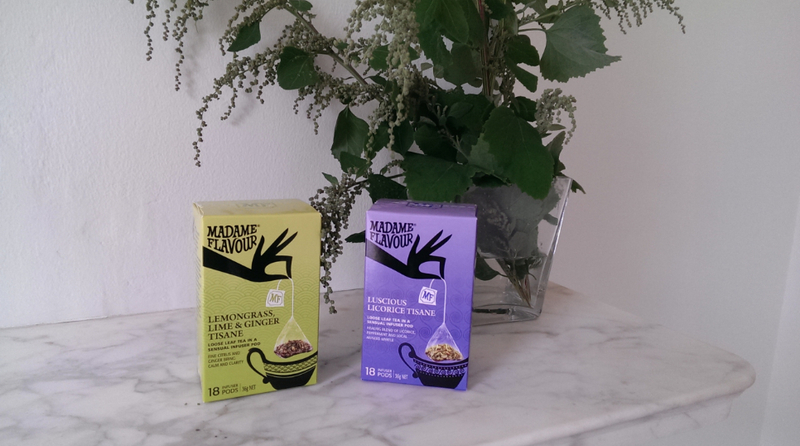 Madame Flavour has just introduced two new teas to add to her growing collection, Lemongrass, Lime & Ginger Tisane and Luscious Licorice Tisane. Mixing freshly cut lemongrass and lemon myrtle with the tang of ginger, the Lemongrass, Lime & Ginger Tisane is the ideal combination to help you relax and unwind from a busy day. The Luscious Licorice Tisane was inspired by Noyes’ time in Norway where licorice is a national favourite. Blending the flavoursome taste of licorice root with whole fennel seed, organic peppermint leaves and a touch of Australian aniseed myrtle leaf, this delicious tea will be perfect for the more adventurous tea drinker. Particularly designed to appeal to women, the boxes are reflective of Noyes’ memories. The wallpaper background reminds her of home and the French influence in the brand came from Noyes’ mother. The thoughtful letter that comes with each box is designed to add a more personal touch to each box which has been lovingly produced by Noyes and her team. 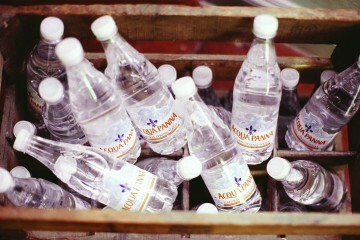 As a special touch, when Noyes first launched the brand, she personally signed the first 1,000 letters. This has lead to hundreds of tea lovers all across Australia, taking the time to write to Noyes, telling her about how much she loves the tea, and Noyes and her assistant Chance personally responds to each one. It is this attention to detail and obvious passion for tea and those who love tea, which sets Madame Flavour apart from other brands on the market. So next time you are looking to indulge in a beautiful cup of tea, why not brew a pot of Madame Flavour. Your taste buds will thank you for it!